Amy is excited about the weather in Chicago but warns it won't last too long. She discusses marriage equality that came to Cook County one year ago and also what will be some of the issues impacting our community and one is LGBT youth homelessness. This is an important show! Guest: Windy City Media Group Owner Tracy Baim returns to the Queercast to discuss a new LGBT housing project with Amy. Tracy explains some of the reasons for LGBT youth homelessness, the national initiatives in the works to help homelessness, and keeping the fight strong in our movement even after marriage equality. She is overseeing the 750 Club Project which is launching in Chicago to provide private apartments for youth moving out of transitional housing. 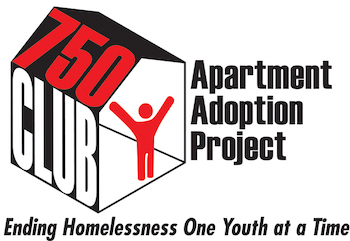 To donate to this amazing project visit tinyurl.com/ApartmentAdopt. To contact Tracy directly, email her at editor@windycitymediagroup.com. For more on El Rescate Chicago visit elrescatechicago.org. Music Featured on This Queercast: North of Nine - "Can It Be You?" and Matt Zarley - "Shiny New Toy"